A federal judge Thursday ordered Waller County and the state of Texas to show the legal team representing Sandra Bland's family the original videos from her time in jail. 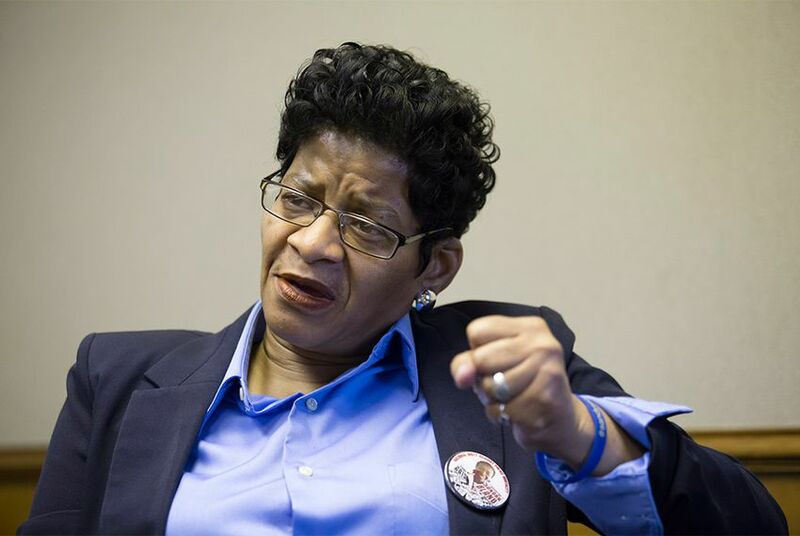 HOUSTON — A federal judge Thursday ordered Waller County and the state of Texas to show the legal team representing Sandra Bland's family the original videos from her time in jail as well as additional footage the Department of Public Safety may have from its investigation into Bland's death. A DPS Trooper stopped Bland near the Prairie View A&M University campus on July 10 for failing to properly signal a lane change. After a heated argument, the trooper, Brian Encinia, arrested Bland for assaulting a public servant. Bland was found hanged in her Waller County jail cell three days later. Her death, which drew national attention, has been ruled a suicide. Bland's mother, Geneva Reed-Veal, is claiming wrongful death in her lawsuit against Encina, Waller County and 12 of its employees. U.S. District Judge David Hittner heard several pretrial motions Thursday in Reed-Veal's lawsuit. The biggest bone of contention was the whereabouts of two pieces of evidence Read-Veal's attorneys consider crucial: the original video footage related to Bland's time in jail and a report from the Texas Rangers, a division of DPS, of its investigation into Bland's arrest and in-custody death. Reed-Veal's attorney, Cannon Lambert, said in court papers filed in January that the FBI may have several key pieces of evidence, including a DVR control box and hard drive containing original video footage from the Waller County Jail during the time that Bland was in custody. Lambert has also suggested that the FBI has relevant reports from the Texas Rangers and local law enforcement. Reed-Veal's attorneys want the Rangers report to help determine whom they might depose or add to the lawsuit. Seth Dennis, an attorney representing DPS and Encinia, said at the hearing it would be unfair to release the report while Encinia awaits the resolution of a criminal case on a perjury charge. Hittner suggested such a delay was unfair to the civil case, which also needs to move forward. He ordered the state and county to show the original videos to the legal team representing Bland's family. "Let's get it moving," Hittner said. Dennis said he did not know who in DPS has the original copy of the report. He said he had not personally inquired about it because he did not want to interfere with the criminal case. After an attorney with the FBI produced the agency's copy of the Rangers report, Hittner complained that it had too many redactions. He ordered the agency's lawyer to submit it to the court again with more information visible. Reed-Veal's lawyers have alleged in court papers that Encinia denied Bland her constitutional rights during the arrest, falsified an allegation that Bland assaulted him and lied about why he removed her from her vehicle. Before Thursday's hearing, Reed-Veal told The Texas Tribune that she hoped there would be no one else goes through what her daughter had to endure. "We can't allow people to be wiped out and not do anything," she said. During a press conference after the hearing, U.S. Rep. Sheila Jackson Lee, D-Houston, said she and congressional colleagues will continue to push for a federal investigation into Bland's arrest and death. Reed-Veal followed with a call for peaceful protest regarding the issue of law enforcement's relationship with local communities. Wearing a shirt with the names of six other women who died in law enforcement custody in July, Bland's mother said she intended to find out more about each woman and ensure that a quest for justice doesn't "die like they did." Hittner is expected to rule later on motions to split, dismiss and delay the civil case.